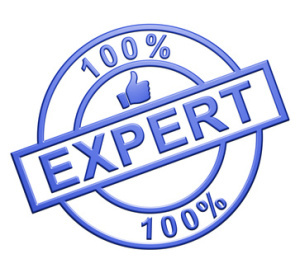 What is a vocational expert (VE) and why the heck is there one scheduled to testify at my hearing? “VEs are vocational professionals who provide impartial expert opinion during the hearings process on claims under title II and title XVI of the Social Security Act or claims for Black Lung Benefits by either testifying at hearings or providing written responses to interrogatories. A VE is a person skilled in several areas of job placement. He/she will have at least a college diploma. His/her carrier normally will be centered on assisting placing people in jobs. Sometimes, but not always, the people who a vocational expert places will have one or more “disabilities,” but not enough disabilities to keep that person from being employed at some job. For that reason, a VE is knowledgeable of the requirements of various jobs which exist in and around the area where the expert has an office. Typically, a VE will be asked to testify at a disability hearing before an administrative law judge in several areas. First, the VE will be asked to classify your past work (work done in the last 15 years) according to the jobs listed in the Dictionary of Occupational Titles (DOT). The DOT was last published in 1991 but the government still uses it as a valuable source to learn about the various physical and mental requirements of jobs performed in the nation. The reason that the administrative law judge needs to know about those requirements is because you are saying, by having applied for disability, that you are no longer able to perform one or more of the requirements of your past jobs. The VE will also be asked to identify whether you can perform those past jobs if you have certain work limitations. Those limitations will be given to the VE by the administrative law judge. The VE may be asked whether you can perform other work with certain limitations. If the VE does identify jobs that you can perform even though you have certain limitations, the VE will asked to offer an opinion about the number of jobs which exist either in the nation, the state in which you live or in certain regions in the country. If the VE testifies that there are no jobs which will accommodate the restrictions imposed upon you due to your disability, you should be found to be disabled for federal Social Security purposes. If the VE testifies that there are “a few jobs” or “many jobs” which fit the restrictions, then the administrative law judge will have to determine whether those jobs exist in significant numbers in several regions throughout the country. That determination by the administrative law judge will ultimately result in whether your claim is won or lost. Some believe that the VE is the person who decides whether you are disabled. That of course is not true. It is the administrative law judge who decides that the question of disability.